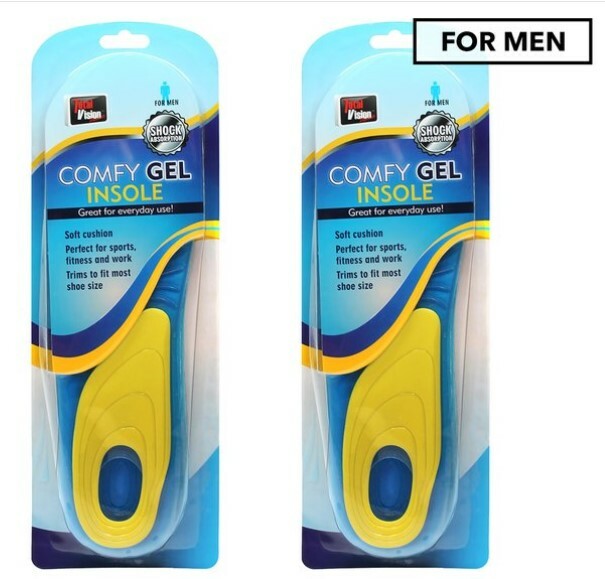 If you’re someone who spends a long time on their feet, whether it’s exercising, working, or walking, then Total Vision Comfy Gel Insole is perfect for you. These comfortable gel insoles mould to the shape of your feet and absorb shock. Great for everyday use and tired feet, these insoles are trimmable to fit most shoe sizes.